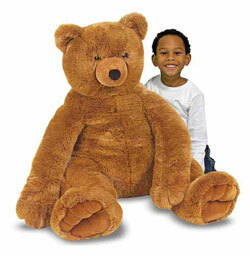 Soft and huggable Teddy bear is over two feet high. View larger. Be the first to review “Melissa & Doug Jumbo Brown Teddy Bear” Click here to cancel reply.